George Dixon Academy is an 11-18 secondary school in Edgbaston. 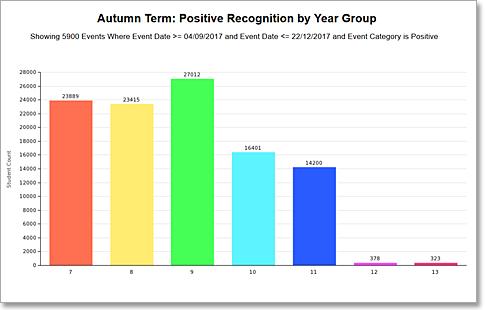 Sleuth was introduced in 2017 to provide greater efficiency to pastoral systems and to support pupils’ personal development through a positive recognition system. “Form tutors have a central role in a school, our tutors are able to have conversations on a daily basis with their tutees because the tutor is able to see what’s happening immediately and pick up the lower level incidents and also recognise the positives. The tutor has a much better handle on progress and can use that in conversation to support individuals. Previously that relationship depended so much more on the personalities but now there’s information to support those conversations. Sleuth has really enabled that; it’s a really positive use of data and can change the conversation in a good way. “Praising positive contributions from kids is so easy in Sleuth. Every teacher has Sleuth open for every single lesson so when a child arrives on time that’s a positive Sleuth point and during the lesson there are lots of opportunities to gain more points for important aspects like teamwork, respect, setting a good example, etc., it goes beyond the purely academic learning towards learning how to be an outstanding human being. It’s a real battle in the modern school to balance academic learning and personal development. It’s important to us that we don’t lose the human aspect, wellbeing and emotional development.